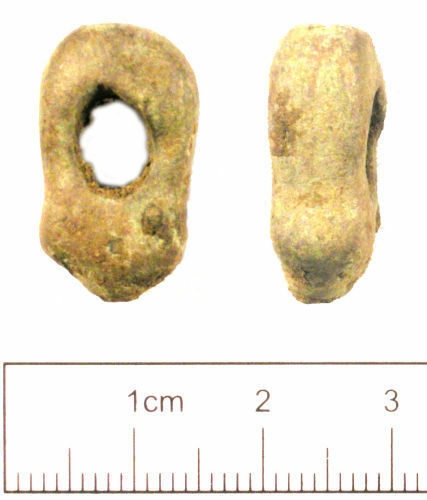 A cast copper alloy lug from a medieval copper alloy vessel. There is a stub of a rivet at one end. The lug has a rectangular cross section.